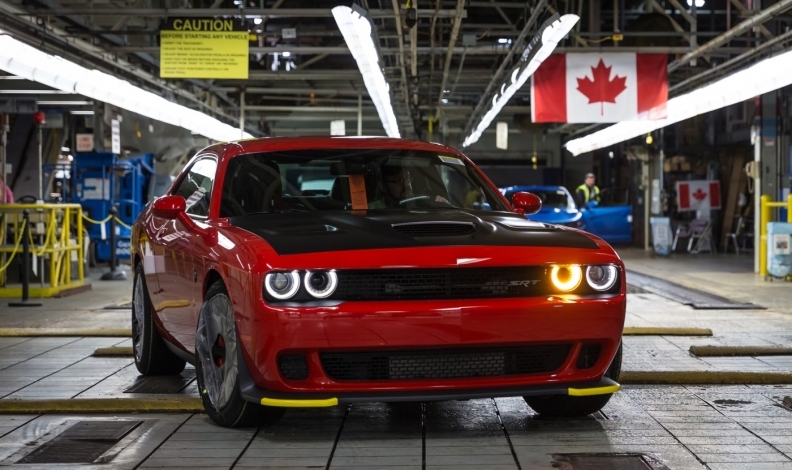 OTTAWA — Canada’s trade minister last week met senior officials from General Motors and Fiat Chrysler Automobiles in Detroit, as Ottawa takes its lobbying effort directly to the Detroit Three carmakers to avert potential U.S. auto tariffs. The Liberal government is relying on industry partners to press Canada’s cause in the White House and elsewhere, using their influence to protect Canadian interests, sources with direct knowledge of the discussions told Reuters. Trade Minister Francois-Philippe Champagne also visited a Ford Motor Co. plant in Windsor, Ont., last week as part of his campaign. The auto industry, Canada’s biggest exporter, represents about 500,000 direct and indirect jobs and contributes C$80 billion (US$60.1 billion) a year to the economy. “Instead of us galloping all over the United States talking to everybody, it’s really focused right now on the automobile manufacturers, the automobile suppliers,” said one source, who requested anonymity given the sensitivity of the situation. The Canadian message was “now is the time to speak up, now is the time to exercise whatever influence you might be able to bring to bear,” added the source. Champagne told Reuters he had been reinforcing the message that the current system should be maintained. Canada’s effort over the last 18 months to build support among policymakers and the business community failed to prevent U.S. President Donald Trump from imposing sanctions on Canadian steel and aluminum. Separately on Wednesday, a group representing General Motors, Ford and other manufacturers urged the Trump administration to drop the idea of tariffs. A second source said that during the meetings, Champagne also stressed the importance of pressing ahead with talks to improve the NAFTA trade pact and boosting the competitiveness of the North American auto industry to take on rivals elsewhere. Canadian representatives of the Detroit Three referred questions to Mark Nantais, president of the Canadian Vehicle Manufacturer’s Association, who said his members were working closely with Ottawa in a bid to head off the tariffs. If Trump does impose punitive measures on auto imports, Canada would look at a series of retaliatory steps, such as tariffs on U.S. autos and other goods, one of the sources said. But the Canadian sources said Ottawa aimed to fend off the auto tariffs rather than being sucked into a deeper trade war.